FACTS was founded by two North San Francisco Bay Area mothers who want to help connect families locally, regionally and across the country who are trying to keep their children safe from the ubiquitous toxic exposures in our modern world. FACTS is a project of the Center for Environmental Health. Families Advocating for Chemical & Toxics Safety (FACTS) is a one-stop clearinghouse for evidence-based information and expert resources in children’s environmental health. FACTS promotes easy, affordable, and sustainable actions to remediate the unnecessary and harmful exposure to chemicals and toxics in our everyday lives. Vice-President of Jonas Philanthropies, philanthropic consultant, Former Advisory Board member of Safe Passages, current Advisory Board member to the Jonas Nursing & Veterans Healthcare at Columbia University School of Nursing. Lendri Purcell is a teacher, philanthropist, a philanthropic consultant and a children’s rights and environmental health advocate and activist. Her advocacy work began as a teacher with Teach for America in Oakland, CA where Lendri created reforms in schools for children with special needs. In addition, Lendri worked as a case manager, a community schools coordinator, and a program officer for Price Charities. At the same time, she spearheaded the Jonas Youth Development Initiative that disbursed close to 3 million dollars to support mentoring, school to career training programs and mental health support for highly at-risk San Francisco East Bay youth. The grant-making program was especially unique in that Lendri created a youth advisory board reflective of the community served to help recommend grants. Lendri founded the Oakland Youth-Friendly Business Awards, a model program that has been replicated outside the East Bay to promote business investment in the youth development sector. In addition, she founded the East Bay Youth Ally Alliance to coordinate and enhance youth development efforts through trainings, coaching, special events and social media. In response to learning that her baby had an elevated lead level, Lendri embarked on a quest to find the source of that exposure. During that process, she uncovered numerous common toxic chemicals in her home and in the lives of all American children and went on to spearhead Jonas Philanthropy’s Childrens’ Environmental Health Initiative. The program makes impactful grants with a focus on toxics education for medical providers, consumers (parents) policymakers and retailers. As an advisory board member to the Jonas Center for Nursing Excellence, Lendri helps inform the research topics of the center's PhD and DNP nurse scholars and Lendri recently spearheaded the environmental health, school nursing and complimentary medicine scholar cohorts. In her role outside the fund as an activist, Lendri has been working on expanding lead testing to all babies in California and raising awareness and about the hazards of wireless radiation, especially for children. As a philanthropist/activist Lendri has been bringing science related to the hazards of EMF radation to health funders. Lendri is also working in Sonoma County to form a local environmental health network and to promote toxics free school policies. In addition, she recently launched FACTS (Families Advocating for Chemical and Toxics Safety) a parent-driven social media education and advocacy group that provides easy tool-kits to help parents reduce toxic exposures in their homes, schools and public spaces. FACTS strives to effect change at a larger level by influencing consumer demand for non-toxic products, by harnessing parental discontent with the status-quo to effect policy changes at the local, state and federal levels. Nichole is a mother, educator, and environmental health advocate. She has been working with youth and families for over 22 years in the fields of education and psychology. After a breast cancer diagnosis in 2012, Nichole fell down the rabbit hole of environmental toxics research, became deeply concerned by the environmental and social injustices affecting health, and expanded her career to address the issues around toxicity and children’s health. She now devotes herself to ensuring children grow up in safe and healthy environments. Nichole is an award-winning educator and accomplished expressive arts facilitator with expertise in youth leadership and development. She works as a Person-Centered Expressive Arts Facilitator/Educator and Environmental Health Advocate. She works with Jonas Family Fund, Daily Acts, and The REACH Charter School. She also serves on the Ceres Community Project's Board of Directors as Secretary, Governance Committee Member, and Youth Development Committee Chair. Spending creative time with youth in nature and helping cultivate the ecology of their imaginations is Nichole’s passion! A deep desire for social and environmental justice influences her professional and volunteer work with youth in Sonoma County. In 2012, she received the Outstanding Environmental Education Program/Educator Award for special innovation and insight in teaching students about the environment from the California State Legislature, Sonoma County Conservation Council, and Sierra Club Sonoma. Her environmental education projects in the Sebastopol Unified School District also received United States Special Congressional Recognition, and she was a nominee for the American Red Cross Real Hero in the Environment in 2013. 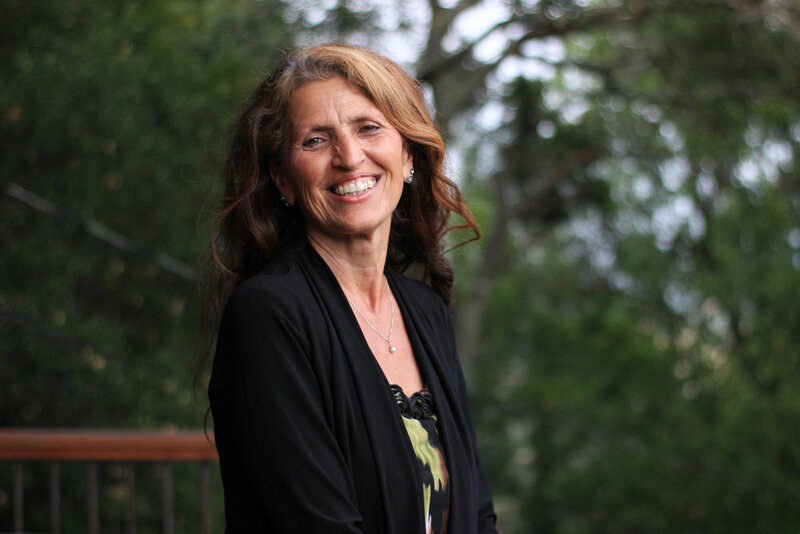 Michelle Perro, MD, is a veteran pediatrician with over thirty-five years of experience in acute and integrative medicine. More than ten years ago, Dr. Perro transformed her clinical practice to include pesticide and health advocacy. She has both directed and worked as attending physician from New York’s Metropolitan Hospital to UCSF Benioff Children’s Hospital Oakland. Dr. Perro has managed her own business, Down to Earth Pediatrics. She is currently lecturing and consulting as well as working with Gordon Medical Associates, an integrative health center in Northern California. Michelle is one of the founders and is currently the Executive Director of GMO Science. She also serves on the Advisory Boards for Made Safe and Documenting Hope in addition to her clinical practice at Gordon Medical. Barbara Sattler is Professor, Public Health Program, University of San Francisco. She has over 25 years of experience in the field of environmental health including research, graduate education, as well as work with clinicians and communities, where she has focused much of her work on the relationship between chemical exposures and human health - in homes, schools, workplaces and communities. She has worked extensively in educating health professionals and policy makers and been the Principle Investigator on NIH, EPA, and USDA grants. At the University of Maryland, where she worked for 23 years prior to coming to San Francisco, she directed the Environmental Health Education Center that included the first graduate program in environmental health for nurses in the country. In addition to her numerous publications, articles, chapters in textbooks, and the book Environmental Health and Nursing she served on state and national advisory bodies, including the Institute of Medicine and the EPA’s Child Health Protection Advisory Council. She is a founding member of the Alliance of Nurses for Healthy Environments (www.enviRN.org), a national network of nurses working on environmental health issues from an education, practice, research, and policy perspective. She is a Registered Nurse with an MPH and Doctorate in Public Health from Johns Hopkins University School of Public Health. She currently serves on several non-profit boards and on the Science Advisory Board of the Breast Cancer Fund.